Oops, long time no post. The thoughts are often there, but they disappear into the mire of everythingelseness. 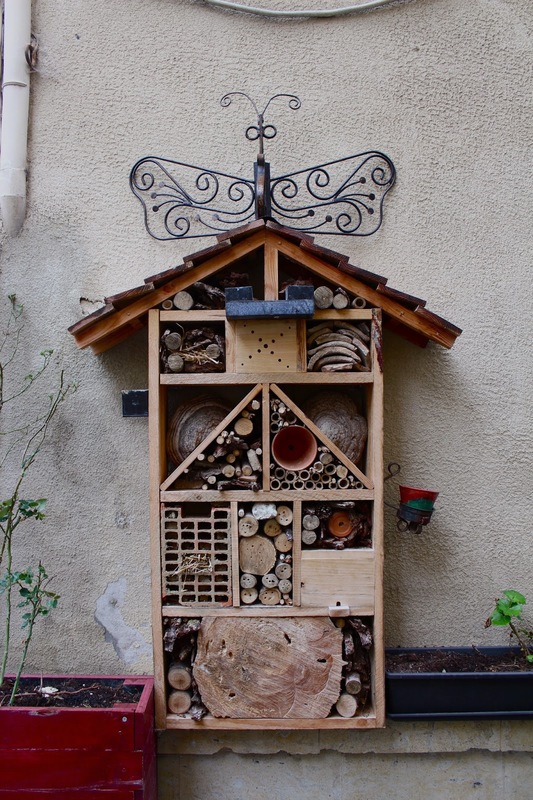 On our recent foray into the Dordogne, I saw this masterpiece of 'recuperation', and kindness to our insect friends. We particularly liked the big log chunk at the bottom which has been chewed by the now dweller in the box with the tiny entrance hole and landing platform. A work of brilliance, whoever you are in the town of Lectourne. Ezra has assured me he will try to replicate the construction. I will post the result.